Tom Brady Best Player in the NFL? Thomas Edward Patrick Brady Jr. (born August 3, 1977) is an American football quarterback for the New England Patriots of the National Football League. After playing college football for the University of Michigan, Brady was drafted by the Patriots in the sixth round of the 2000 NFL Draft. Every team never thought that Tom Brady would be this good today. Tom Brady ranks near the top for nearly all of them. If Brady plays as long as he is planning to, he will break a lot of records. Tom Brady is going up in the stats chart with a lot of wins and MVP awards. 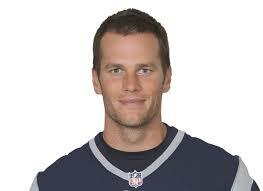 Tom Brady has 61,582 passing yards (fourth all time) and 5,244 passing completion (fourth all time). Brady also has 456 touchdown passes (fourth all time). Another thing that Brady is good at is his passing rate; it is 97.2 (third all time). Tom Brady has won two MVP awards and may continue to go up. Every year Brady gets better and better with his team. Tom Brady has been to 8 Super Bowls and has won 6. That is the most Super Bowl wins by any NFL player. Tom Brady has proven that he might be the best NFL player that ever played. Senior Will Adams said, “Tom Brady is the best player in the NFL because he has the most rings than any other player in the game right now.” People will argue about the best player, but Tom Brady will go down as one of the best in the game that has ever played.